CLICK TO ENLARGE screen caption. I have been writing about the repugnant tourism trade with Cuba (under the control of the Castro Communist military dictatorship). Many Americans have participated in Cuban tourism, both illegally and now “legally” under Obama’s new Cuba Policy. This includes participating in Cuba’s notorious sexual tourism. Adding insult to injury, there are many American business owners (painfully, this includes some Cubans residing in the U.S. who fled Castro’s dictatorship decades ago!) who now want to benefit financially by doing business with the communists in Havana– while Cubans are arrested, tortured and imprisoned for peacefully denouncing their despotic oppressors. Click on screen caption of Council of the Americas to read a document titled, Open Letter to President Obama: Support for a New Course on Cuba. You’ll be amazed to see some of the Cuban-Americans as well as Republicans who signed it! 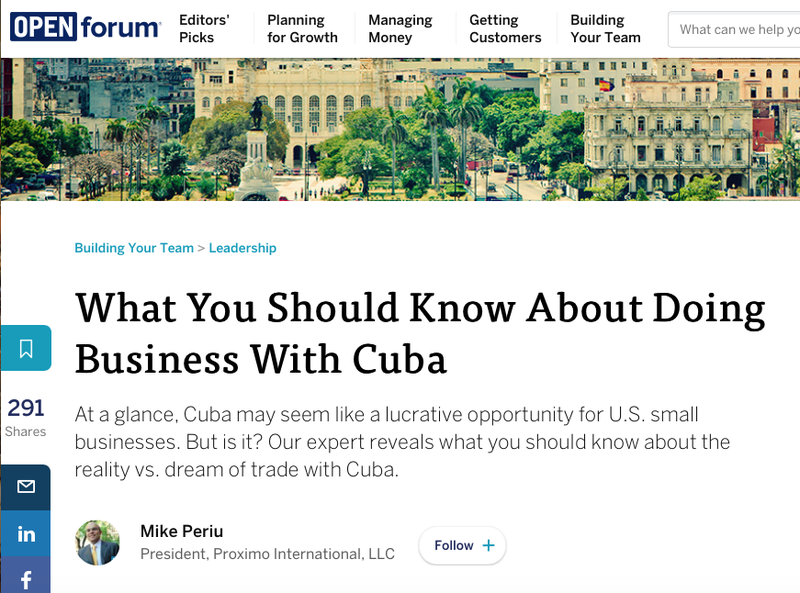 Source: What You Should Know About Doing Business With Cuba 9 February 2015, by Mike Periu – President, Proximo International, LLC, for American Express, Inc. OPEN Forum (global business leadership).